This contribution is part of a larger work developed since 2014 on Zambujal’s flaked stone mainly focusing on siliceous resources’ petrographic characterization, strategies of management and procurement. The enclosure of Zambujal distinguishes itself, in the Portuguese Estremadura, by the larger number of flint artefacts recovered within a chronological context. As well, the Sizandro’s valley was recently studied through a geoarchaeological approach - Holocene floodplain evolution of the Sizandro valley (Portugal) - in which it was proposed a calcolithic territory model. So the enclosure of Zambujal is privileged for being a case study. Although if compared to other Chalcolithic settlements, have a high number of arrowheads (1037) stands out in absolute contrast, as in proportion with the remained lithic tools available. This particular issue, moreover connected to the fact of having been removed inside the barbican of the hillfort (between first and second lines of defence), is a very important element that suggests the possibility of armed conflicts among these populations over Chalcolithic (3rd millennium BCE). The present paper proposes to test the hypothesis of the evidences of war in Chalcolithic, based on functional and petrographic analysis of Zambujal´s arrowheads. So, on one hand, we proceed to a techno-typological classification with the particular purpose of gathering materials from all Zambujal’s archaeological campaigns (1964-2012). Than we applying to every measurable arrowhead a drilling index (Ipn) to find the “stopping power”, that reflects a level of damage. The methodology employed for the petrographic analysis was a classical compositional and textural, and we also established flint types according to its genesis (genetic type) and provision sites (gytologic type), through a dynamic perspective of an ‘evolutive chain’. A Motic SMZ-140 binocular magnifying glass was used in the mesoscopic observation, with an 80x augmentation and, whenever needed, particular images were taken with an Olympus E-620 camera, providing thus a maximal visual augmentation of up to 40x. This paper presents the results obtained for the different types of analysis – techno-typological and petrographic - trying to find the arrowheads functionality. 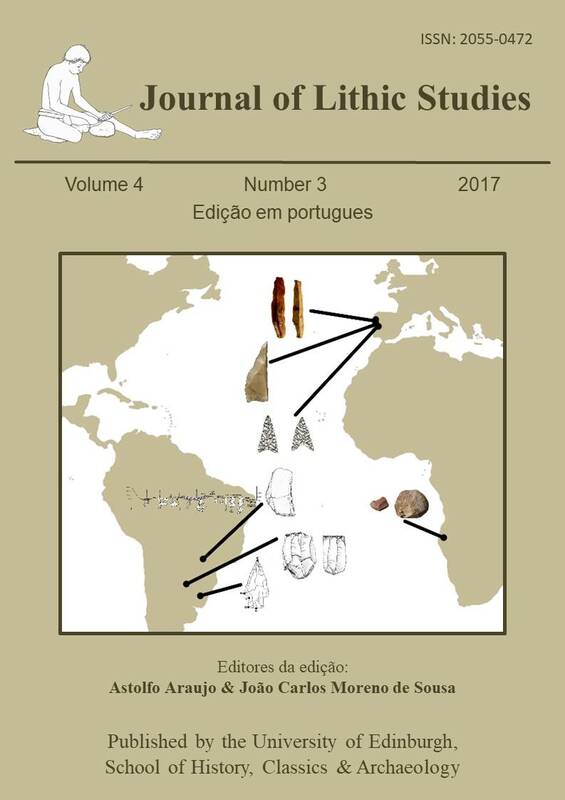 As well, by comparing the arrowheads typologies associated with the drilling rate index (DRI) from Portuguese Estremadura’s settlements we obtained the capability of answer the question of functionality – war or hunting weapons? In the petrographic analysis we tried to recognize the "history" of the flint, however, due to the natural absence of the cortical part in these artefacts, was privileged the genetic characterization of the lithologies. From the above, it is suggested that the main source of the siliceous materials used to produce arrowheads has been the closest, easiest and most abundant source. But at this point the study needs a more detailed characterization of the regional source areas with some textural affinities with these archaeological samples. For now, we use these results of raw materials’ provenance to beginning to identify the supplying strategies and the early stages of operative chains of these artefacts. The extension of the petroarchaeologic study to all the operative chains of the Zambujal’s arrowheads is a key for the understanding of the techniques in their manufacture and therefore the type of circulating materials - raw materials or final products? In conclusion, with these new data we can also begin to recognize the existence of complex goods’ circulation networks in the Chalcolithic, which probably includes regional and inter-regional strategies control reflecting the stability or instability’s relationships of among prehistoric communities.